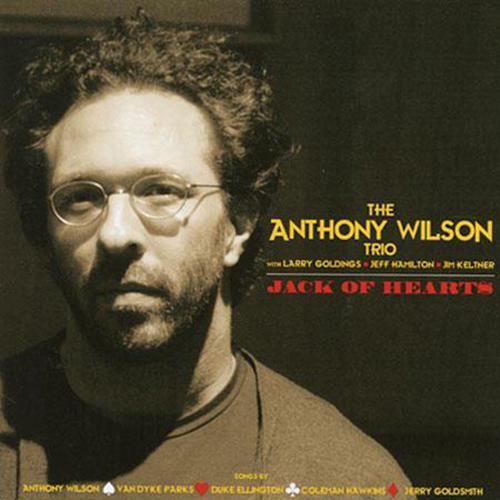 (SACD-HYBRID) High resolution audiophile SACD version of the recently released Anthony Wilson Trio Jack of Hearts featuring Jeff Hamilton (drums), Jim Keltner (drums) and Larry Goldings (Hammond B3). A possible breakout album for Anthony Wilson, this organ trio features two of the finest drummers working today - half the tunes are with the swinging Jeff Hamilton on drums and the rest session drummer par excellence Jim Keltner who lays down some truly great percussion. Aside from Wilson's exploration of Latin, south of the border influences, the recording features unique performances of music by Ellington (Carnegie Blues), Jerry Goldsmith (Theme from Chinatown) and Van Dyke Parks (Orange Crate Art). Recorded direct to 2-track pure analogue in the legendary Oceanway Studio A in Hollywood. Will play on regular CD player.